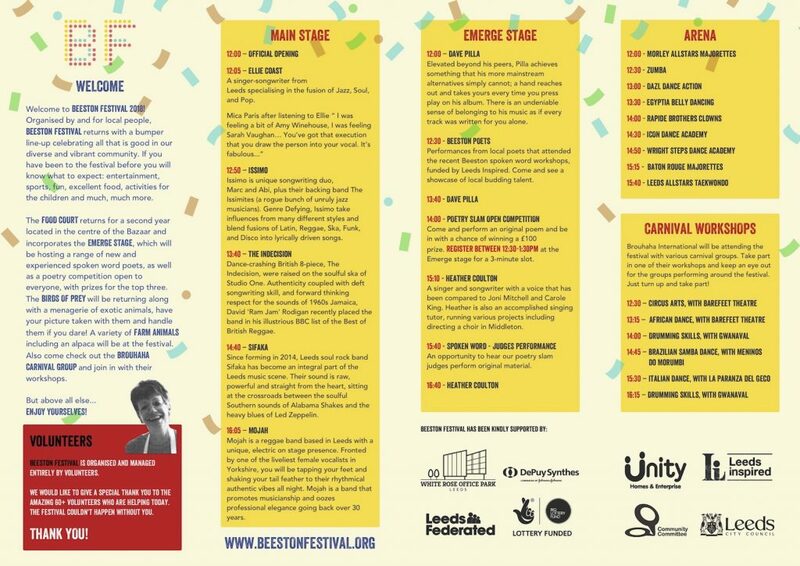 Organisers of this year’s Beeston Festival are very excited as the big day approaches, promising even more of the attractions that are so popular. 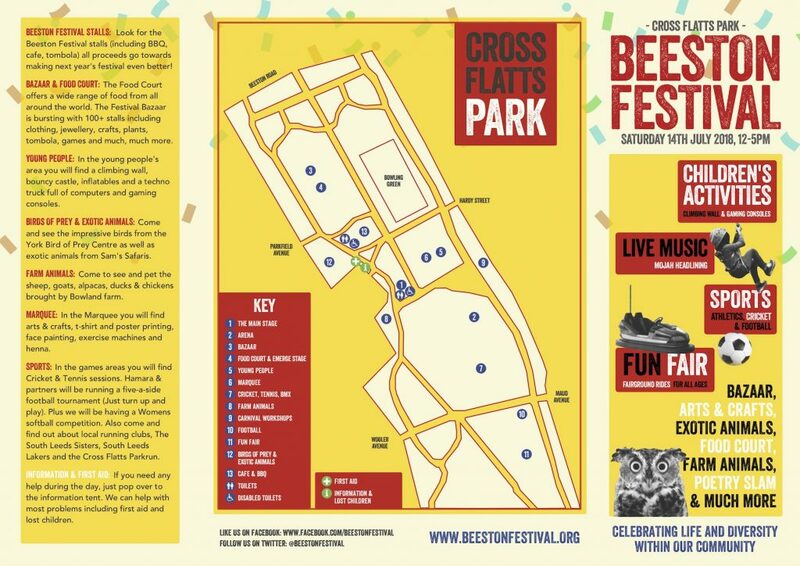 The Festival takes place as usual in Cross Flatts Park on Saturday (14 July 2018) from 12-5pm. As well as live music, children’s activities, sports and the fun fair there will be a wide range of foods from around the world. Whilst your eating in the Food Court you can take in local performers on the ‘Engage’ spoken word stage. Animals will feature again this year. The donkey rides and Birds of Prey will be back and this year organisers have added farmyard animals and exotic animals. Music on the main stage will come from Mojah, Sifaka, The Indecision, Issimo and Ellie Coast; between them bringing a range of reggae, soul and jazz influences. Revellers are encouraged to bring their dancing shoes. The Arena will feature interactive dance including DanceFit and belly dancing with Egyptia. There will be displays from Icon and Wright Steps dance academies as well as Baton Rouge and Morley Allstars Majorettes plus a display of Taekwondo skills and clowning from The Rapide Brothers. Women’s softball cricket will feature in the sports area along with five-a-side football and free family tennis coaching. A climbing wall and zorbing will complement the inflatables. 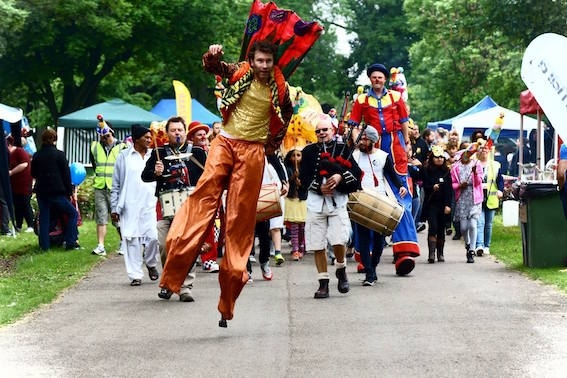 If you are in celebratory mood, Brouhaha will be running a series of carnival workshops including African dance, circus arts and drumming skills. Or you can browse the 100+ stalls in the Bazaar.